More than a dozen oncologists from Winship Cancer Institute of Emory University will present new research this week (June 3-7) at the annual meeting of the American Society of Clinical Oncology (ASCO) in Chicago. The theme of this year's conference is "Collective Wisdom. The Future of Patient-Centered Care and Research." Winship member Ajay Nooka, MD, an assistant professor in Emory's Division of Bone Marrow Transplant, is one of the leading authors of a phase III trial studying the benefit of monoclonal antibody combination therapy over standard treatments for relapsed multiple myeloma patients. The abstract will be presented at a plenary session on the third day of the conference. Presentations will also include a National Cancer Data Base analysis by Madhusmita Behera, PhD, director of Winship Research Informatives, on the use of proton versus photon radiotherapy for patients with non-small cell lung cancer (NSCLC). Several members of Winship's leadership team will present at ASCO education sessions. Walter J. Curran, Jr., MD, executive director of Winship and Suresh Ramalingam, MD, deputy director of Winship, will participate in a session on small cell lung cancer. Winship's Chief Medical Officer Sagar Lonial, MD, will lead a session on new targets and new agents in multiple myeloma. Urologist Viraj Master, MD, PhD will speak at a "meet the professor session" on upper tract transitional cell carcinoma. 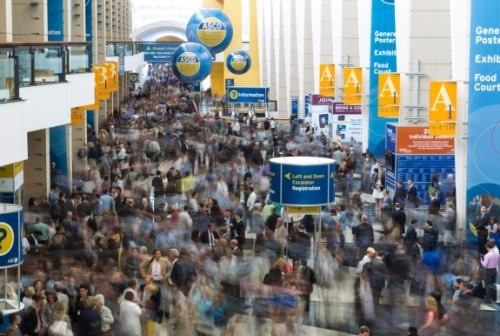 The annual ASCO meeting regularly attracts more than 25,000 oncology professionals from around the world and showcases more than 5,000 abstracts. View schedule of lead author presentations from Winship members. View a complete list of ASCO abstracts.